We hope this newsletter finds you healthy and uplifted by the great joy we share in recently celebrating the birth of Jesus. Amid this busy and blessed season, we would like to share with you a few of our goings-on in life in ministry. Douglas Baptizing infant on Christmas Day. 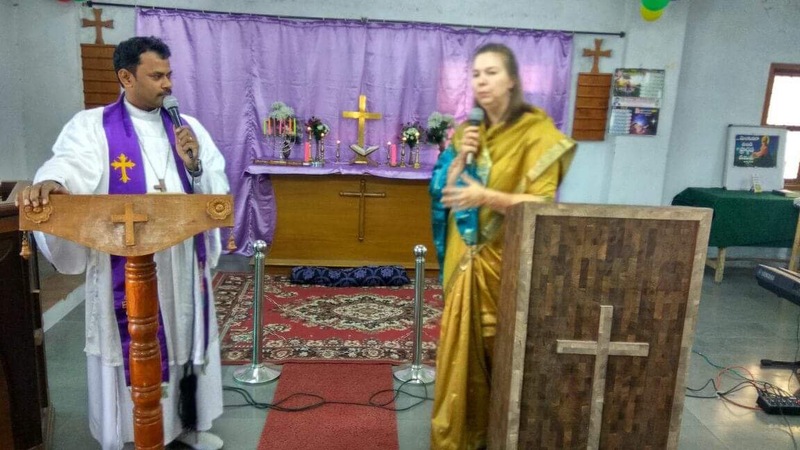 Kulli preaching in a Lutheran Church, South India, Advent 2017. Kulli with bride-to-be during bridal preparation ceremony. The Acts2 English-speaking fellowship has enjoyed solid participation from both new and old members. Currently the group has about 20 participants who are connected to the group. We have regular participants from every continent except for Australia. It is not the numbers that we count, but we wish to be close to our people, keep them in our prayers, be involved in their lives, and show them our faith. It is meant to be a fellowship. One group member who had been with us from the beginning of Acts 2 ministry who was from India, sadly left Estonia permanently for the joyous purpose of getting married to a good Christian man. 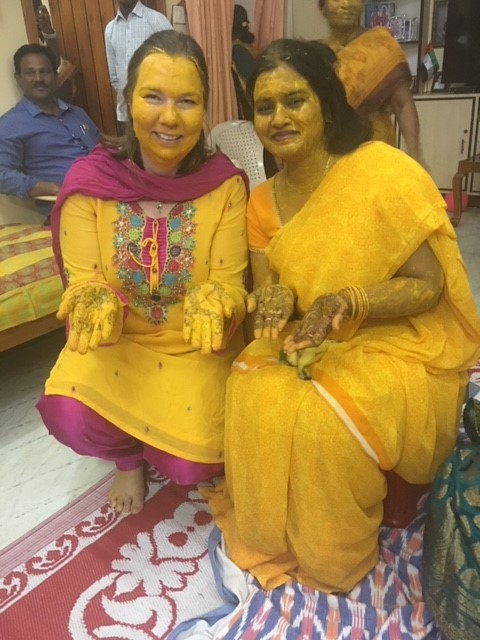 Kulli was asked, and accepted, to be the matron of honor in the wedding which took place in December in Southern India. The wedding was an elaborate occasion with a large family and 1600 guests and it included many Indian traditions but was also a solidly Christian service designed to be a witness to the community where only 2% of population are Christians. It was touching to find out that our reaching out to one person from India had really touched a whole family thousands of miles away so much that dozens of people had been praying for us the entire time! While in India Kulli was also hosted by a Hindu family whose son is attending school in Estonia and who has attended our Christian fellowship. It provided to be very educational visit and helped her to understand our people so much better. What do they miss about their homes? What is their faith like? What are the deeply held values they are brought up with? It helps us to show the kind of hospitality that is expected and that makes them feel at home here in Estonia. We wish the word of God to reach many different people. God loves all people and we wish them to grow into a relationship with Christ. Christmas is always a favorite time of the year in our family. Children have kindergarten parties, they learn their songs and verses. Also at Baltic Methodist Seminary we had a little Christmas gathering with faculty, staff and students with games and songs to wrap up a busy semester of studies and exams. There are of course still papers due to grade and classes to prepare for the next year, but for the moment there is a time of celebration and spending some extra time with family and friends. 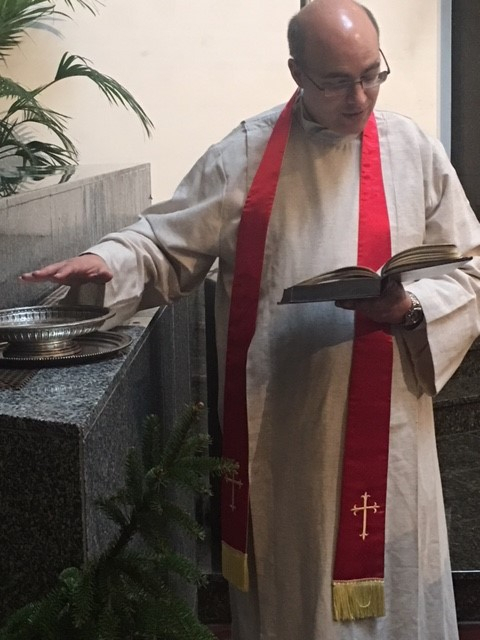 Please pray for more baptisms in the new year and for faith commitments to be made in the new year. Pray for God to sustain us and teach us how to best serve. Pray also for our family and especially for our kids to continue to adjust to Estonia. As we close out 2017 and look forward to 2018, we thank all of you who have supported us with your gifts and prayers. 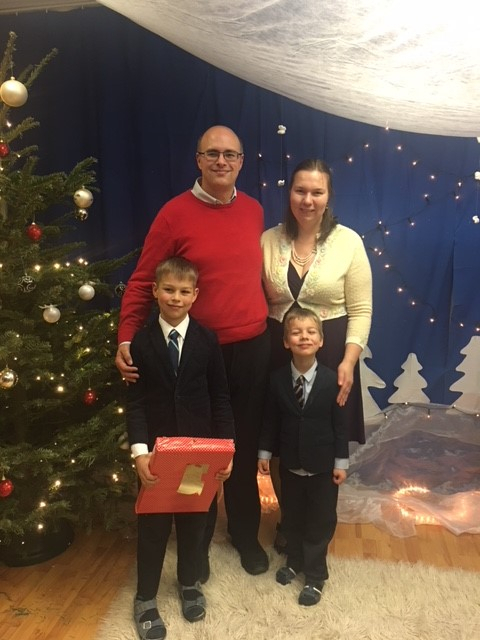 As you finish out this year and begin the new one, we ask, if you haven’t already, to consider supporting us and what God is doing in Estonia. We feel it is making an impact for Christ both in Estonia and throughout the world. If God is leading you to support us at this time, you may find how to give down below. We wish you a Merry Christmas (haid joule) and a Happy New Year (head uut aastat).